Limited European settlement of the Banks Peninsula area began in the early nineteenth century. It increased markedly once the British Crown signed the Treaty of Waitangi with the indigenous Maori tribes. In order to protect Maori from unscrupulous purchasers, a clause of the treaty required that Maori could only sell land to the Crown. Walter Mantell, acting for the Colonial Government, purchased the Port Cooper block, which included Godley Head, on the 10th of August 1849. The first European name for Godley Head was Cape Cachalot, named by a French whaler Captain Langlois, who was in Lyttelton Harbour in 1838 to buy land. The name remained in use till at least circa 1900. The Head was renamed in honour of John Godley, the co-founder of the Canterbury Association and a leader of the Canterbury Province. Between 1850 and 1855 Godley Head and all 252 hectares of the land east of Taylors Mistake was declared a reserve by the Canterbury Provincial Council. Today Godley Head is an unclassified Reserve under the Reserves Act 1977, managed by the Department of Conservation. Godley Head is classified as Heritage Icon Site by the Department. Farming was allowed at Godley Head and a run of 29,000 acres, accommodating 1000 sheep, was taken up in 1857 by Mr Parkinson. In 1867 an area was set aside as a Lighthouse Reserve and was used for the lighthouse keepers own farming needs. The area of the head not reserved for lighthouse purposes was now designated as Pt. Reserve 60. In 1885 the remainder of Pt. Reserve 60 was leased to farmers through the agency of the Department of Lands and Survey. The next 90 years saw the Reserve farmed by a succession of lessees, who mainly ran the block as a sheep station. Even the war didn’t entirely stop their efforts. For most of them it was there sole farming venture and it was doubtful if the Heads poor soils, limited shelter or water could provide more than a basic living. 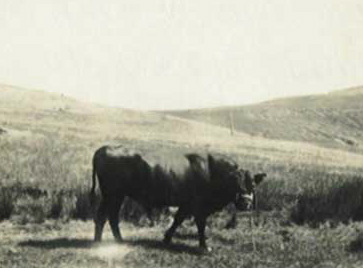 In 1979 the area was turned into a farm park, apart from the area of the Lyttelton Port Company's lease, and management of the land reverted to the Department of Lands and Survey. From 1987 the newly formed Department of Conservation took over management of the area, and continued to lease out the land for farming. In 1906 it was suggested by the Crown Land Field Officer that a road be built out to the heads, it being argued that this would “… “afford what would become a very popular and comparatively easy way by which the many visitors to Sumner could ramble via the picturesque coastline of the lighthouse reserve.”” The current road is fully paved from Evans Pass to the Godley Head carpark. In 1910 the Clerk of Sumner Borough Council, in writing to the Minister of Lands, described Taylors Mistake and Godley Head as a very popular picnic ground. Certainly the area was well patronized. In a Press article of 1911, between 300 and 400 picnickers from Christchurch were described as using the area on a Sunday. Recreational use of the area was not confined to picnickers. Baches began to be built along the seafront between Taylors Mistake and Boulder Bay in the late 19th and early 20th century. By 1911 there were thirty baches in and between the two bays. Today the Head is open every day and a new picnic facility at the Godley Head carpark provides good seating, tables, and a magnificent view. There are also toilet facilities at the carpark. The walking tracks across the headland get regular use and the many military structures encountered along the way are part of the varied attractions of the area. Mountain biking is also very popular. Godley Head is visited by as many as 100,000 people a year.